9.33mm x 11.39mm / 0.367in. x 0.448in. 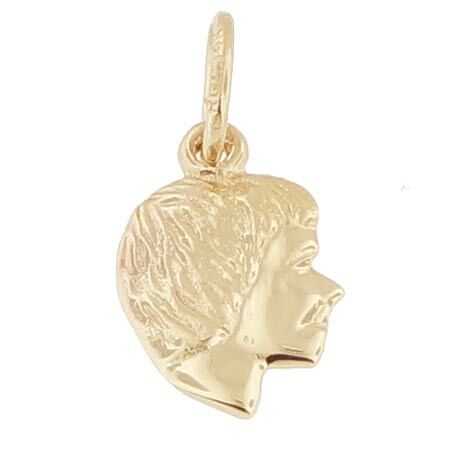 Girl's Head Accent Charm by Rembrandt Charms. The height is 1/2 of an inch. The face is a detailed image, and the back can be engraved. Our Girl's Head Accent Charm is perfect for any mom or grandma to add to her charm collection. Add the Girl's Accent Charm to your favorite Symbols and Expressions Bangle Bracelet. All Rembrandt Charms are available in either silver or gold. The matching boy’s silhouette charm is style 6042.